I guess I underestimated the power of John Travolta and Olivia Newton-John. 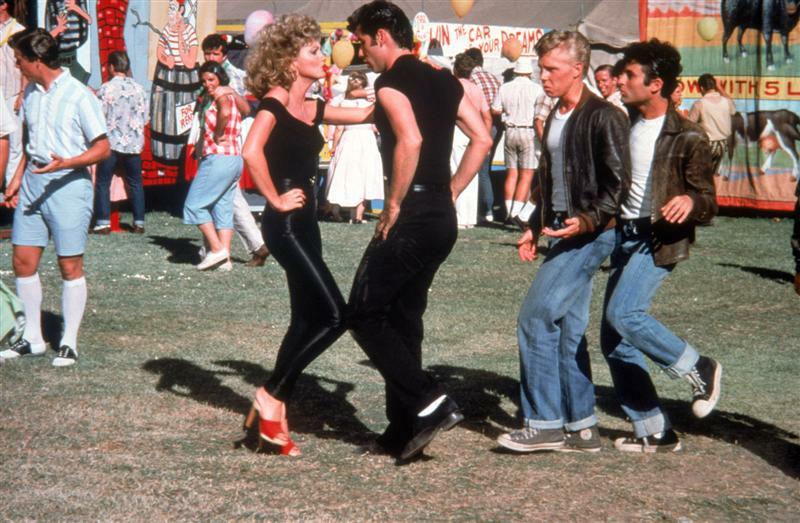 Hard to believe Grease is 35 years old now. Pretty sure I still have the vinyl for that soundtrack sitting around somewhere, heh.. This Week’s Poll: The big news last week was the announcement of this year’s Oscar nominations, and everyone and their mother have been voicing their opinions about them since. I won’t get into who got snubbed or what shouldn’t have been nominated (yet), but I am curious to hear what you guys think of the Best Picture nominees. What is your personal favorite from this year’s nominees? Have a great week, folks! Sorry man, I shant be divulging that information here. 😉 I have to make a big deal of it! I’m going with Beasts of the Southern Wild as my fav, but that might change once I see ZD30 & Django. Not really interested in Lincoln or Les Mis. Good pick! You’re not missing much with Les Mis, though I’m sure some will beg to differ. For me it’s Silver Linings without a doubt, it’s such a great, romantic and unique film. Though I haven’t seen Amour or Life of Pi yet. I still need to see Amour and Zero Dark Thirty — though I’ll be seeing ZDT later today! Only seen 2 out of all the nominees! Shameful. Went for Argo. At least you have some great movie watching ahead of you then. 🙂 Loved Argo, too. Argo for me. although I’ve only seen 7 of the 9. Argo is one of my favorites as well. Yay for Grease! Probably my favourite musical! I’m going for Argo out of the five I’ve seen of the Best Pic noms. And Argo turned out to be tied for the winner!